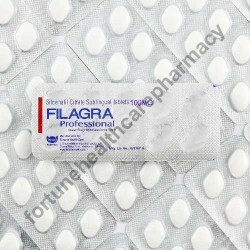 Filagra Professional medicine manufactured by Fortune Healthcare Ltd. is known for relieving impotence issue in men. This medicine is composed in sensational sublingual form for oral consumption. 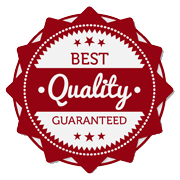 The medicine is known for working as soon as consumed and delivering outcomes that are quick and long lasting. The medicine is available in blister pack of 10 sublingual tablets. Sensational sublingual solution is composed of Sildenafil Citrate 100 mg (Generic Viagra). This parent component in the medication is composed in sublingual form. The medicine works by boosting up blood flow in penile region that ultimately leads stiffer and long lasting penile erection. Sublingual medication is supposed to be consumed by placing it below the tongue. The medicine then dissolved and gets absorbed in the blood stream to start its action mechanism. Take a capsule per day, approx. 30 minutes before session of making love. Effectiveness of Filagra Professional medicine stays actively in body for approx. 4 to 6 hours. Some side effects like with Sildenafil Citrate 100 mg (Generic Viagra) composed sublingual tablet include stomach upset, headache, flushing, lightheadedness, trouble sleeping, or swollen hands/ankles. Some severe side effects including change or loss of vision, ringing in ears or hearing loss, chest pain or irregular heartbeat occurs in rare cases of overdose or allergic reactions with the component.